World Autism Awareness Day, is April 2nd. Autism Ontario‘s Raise the Flag campaign, through the simple act of raising a flag, unites families, schools, communities, government and professionals in recognizing World Autism Awareness Day, and brings to light the struggles and triumphs of people on the autism spectrum. Vehicle donors from Coast to Coast make purposeful efforts in gifting their own regional Autism awareness programs. Donate a Car is proud to partner with several, including Autism Speaks Canada, The Autism Resource Centre, Autism Services Incorporated of Windsor and Essex County, and the Autism Society of Edmonton Area. If you are personally connected to an Autism-related cause that is not yet named on our website, we welcome you to choose them when you submit your own vehicle for donation. Our submission form has a section specifically for naming charities not yet receiving through our program. 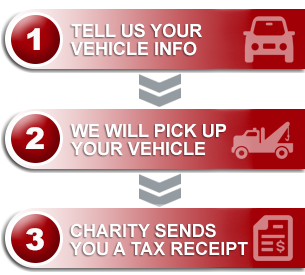 When we see your first choice charity we promptly begin the process of inviting them to join, making it as effortless as possible for the cause you love to be added to the list of organizations set to receive vehicle donation proceeds.